Small Farms Network Capital Region Incorporated – Grassroots information service for people who own or live on small to medium sized rural properties around the Capital region. Are you wondering how to make your small farm more productive? Wanting to establish shelterbelts, rehabilitate a creek or fix erosion? Tired of sitting on the lawn mower all weekend? Need to learn how to care for and manage farm animals? Wondering what to do about weeds? You are not the only one and you have come to the right place! The Small Farms Network Capital Region is a grassroots information service run by small farmers for small farmers. We use the term ‘farm’ pretty loosely to mean any rural property including bush blocks. In 2017 we became State Landcare Champions and received the Australian Government Excellence in Sustainable Farm Practices award. 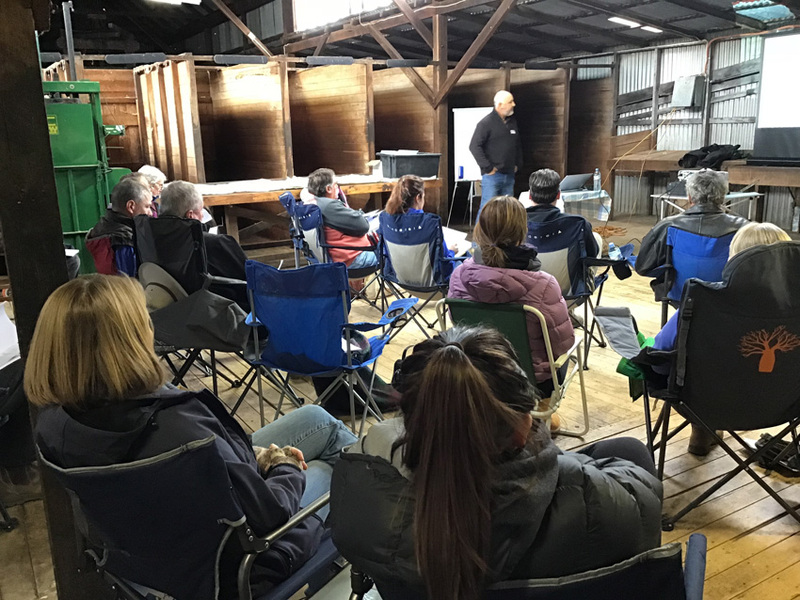 Our network runs field days, workshops and other events packed with high quality information relevant to managing small rural properties in the NSW Southern Tablelands. By getting groups of interested people together, we can organise specialist presenters to run workshops about the topics that people living on small farms tell us they need to learn about. Most workshops are hosted on local farms. – fruit and vegie growing. If you like what we do, become a member to help us keep on doing it! This project received grant funding from the Australian Government through the National Landcare Program and in-kind support from South East Local Land Services.